The Old Brigand logo is proudly emblazoned on the Foursquare distillery. Photo courtesy Foursquare Distillery. In recent years, Barbados-based Foursquare and its outspoken leader Richard Seale have sprung to to the forefront of both the discussion of rum’s identity and, even more importantly, beautiful execution of the juice itself. The chief agents of this rise have been their aptly-named Exceptional Cask Series and collaborations with discerning bottler Velier. Rum and whiskey writer Fred Minnick declared Foursquare’s limited releases to be “the Pappy of Rum” in recognition of their obsessive allure to collectors. 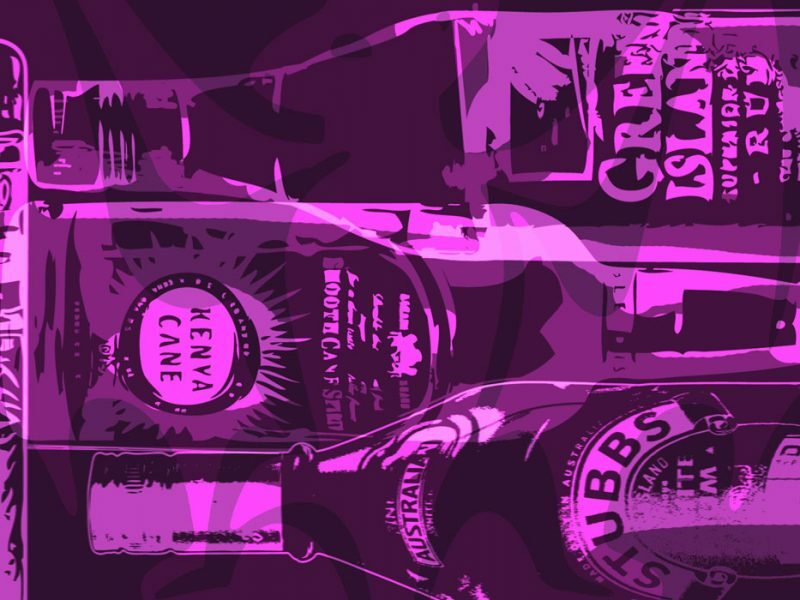 While the top end of Foursquare’s line deserves the attention it receives, it doesn’t tell the distiller’s whole story; we must also consider Foursquare’s proud workhorses, the stalwart brands that have been part of Barbadian imbibing for generations. Long before the advent of the Exceptional Cask Series, Foursquare produced beloved rums for the local market, which to this day show the strong character and heritage of the Barbadian approach to rum. The three key brands in question are Old Brigand, Alleyne Arthur’s Special Barbados Rum, and E.S.A. Field—all nearly unknown in the United States despite their rock-solid reputations back home. Foursquare’s ability to fashion remarkable rums at affordable prices is, to our way of thinking, even more impressive than its triumphs with rarer bottlings: It is the best proof of their mastery of the craft. All three brands came to Foursquare as the result of consolidation among Barbados rum producers, with its parent, R. L. Seale & Company, absorbing other storied manufacturers. Since then, “Old Brigand has evolved, but the others are pretty close” to their origins, Seale explained. 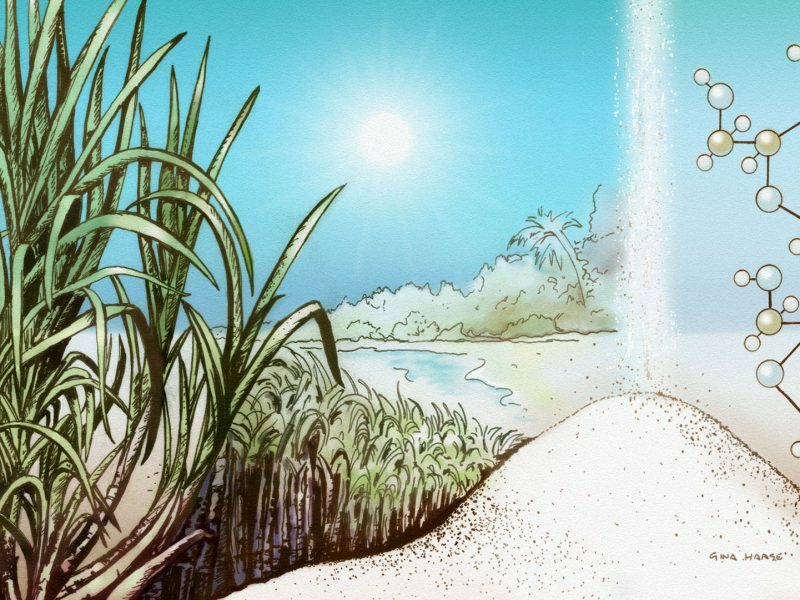 This is a rare chance to experience an unaged Barbados rum. E.S.A. Field lays bare the nuances of distilled sugarcane, unmolested by any presence of wood. The result is something quite unusual: creamy, yet slightly vegetal. It is worth sipping for enjoyment and education, and is completely stellar in a Daiquiri. Old Brigand and Special Barbados were acquired along with Alleyne Arthur & Hunte Ltd. in 1993. (This purchase also brought the more widely exported Doorly’s into the Foursquare fold.) Old Brigand is Barbados’s top-selling aged rum, with its grim pirate logo staring back at you from the décor of many a neighborhood rum shop. Neither sports an age statement, but Richard Seale indicated that the Old Brigand and Special Barbados are both a blend of two- to three-year-old rums, whereas the Old Brigand Black Label (a version sometimes exported) is a five-year-old. In these rums, without extended aging and complex cask combinations, Seale has demonstrated how to make downright delicious—and gloriously Bajan—rum within a classical, spare framework. These brands do not command the high prices of the Exceptional Cask Series, but they command great respect nonetheless. This means we will have to visit Barbados again and again, and with more suitcases. Of course, a few more constant requests couldn’t hurt either. 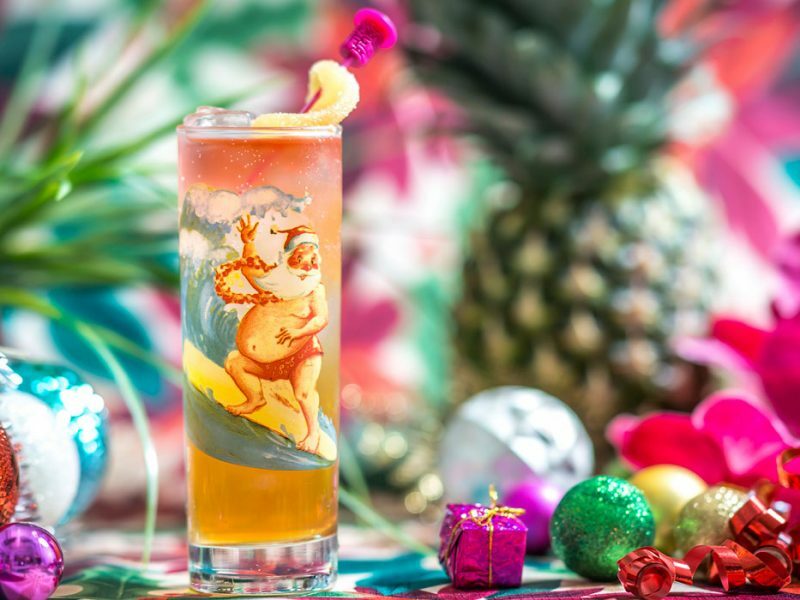 Direct from Barbados, an original cocktail recipe featuring some unusual ingredients. Puree diced mango and water in a blender. Strain the juice from the pulp. Combine strained green mango juice with the other ingredients in a large cocktail shaker filled with ice. Shake, then strain into two chilled glasses filled with fresh ice. Garnish with prepared mango. Salted caramel syrup echoes the naturally dusky sweetness of a perfectly ripe mango. Several commercially available brands of salted caramel are readily available, but if you’d like to try your hand at making your own syrup, here’s an easy recipe. Heat sugar and 1 cup water in a heavy-bottomed, 2-quart saucepan over medium heat, stirring with a wooden spoon or silicone spatula until the sugar dissolves. When mixture begins to simmer, adjust heat and simmer for 8-10 minutes, brushing down the sides of the pan with a wet pastry brush to discourage crystal formation, until the mixture becomes dark golden amber in color. Do not stir the syrup; stirring at this point will cause crystals to form when the syrup cools. Remove pan from heat and carefully add remaining 1 cup water (use caution: mixture may spatter). Return pan to cooktop and stir over low heat until the mixture becomes liquid again. Immediately remove from heat and let cool completely before transferring to a sterilized glass container (our suggestion: divide syrup between two 10-ounce glass bottles). Syrup will remain stable at room temperature indefinitely.